Here are two versions of basically the same card (using a sketch from Make It From Your Heart, Vol. 2). 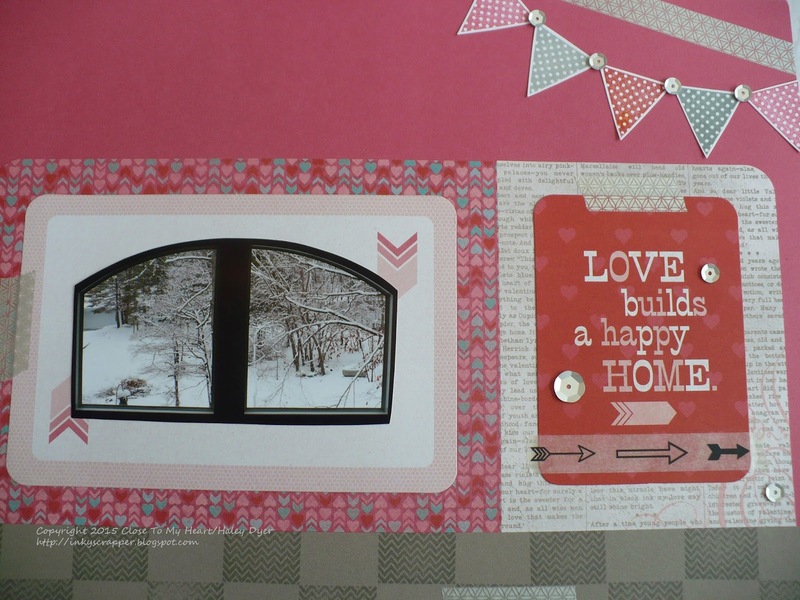 The first uses the Brushed paper pack with pink shimmer trim and gray sequins. 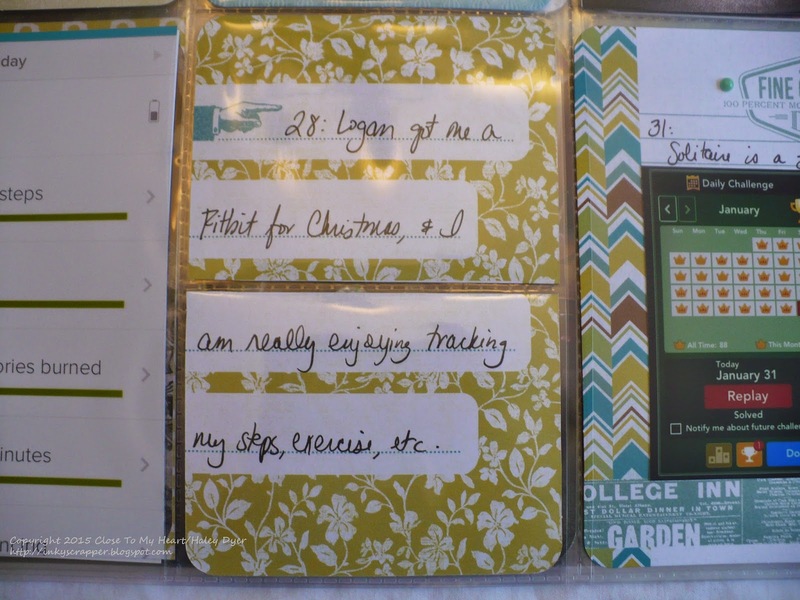 My second card uses the Seaside paper pack, bronze shimmer trim, and gold polka dot washi tape. 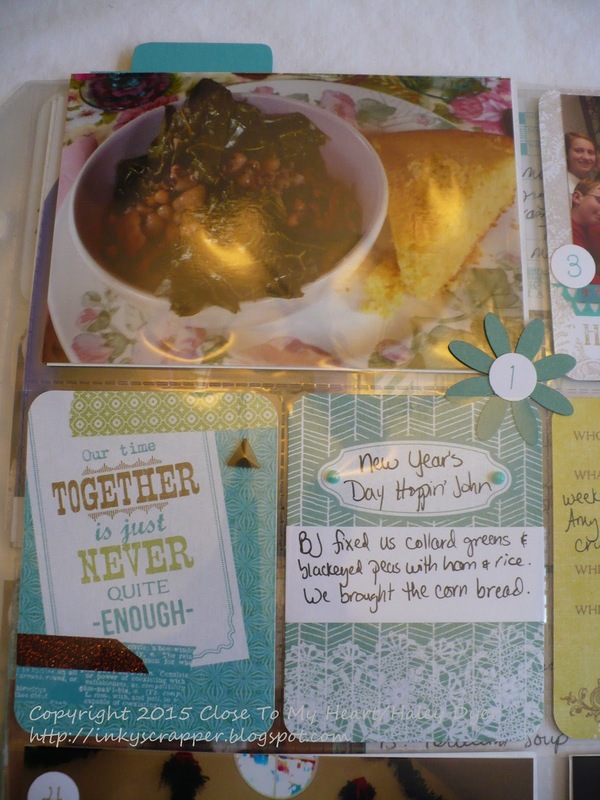 These cards are easy to make and mail. Click HERE for the complete hop list! Thanks for hopping by! 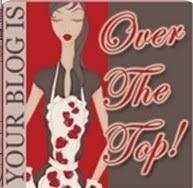 Be sure to check out all the participants' creations by going to see Donna's blog next! 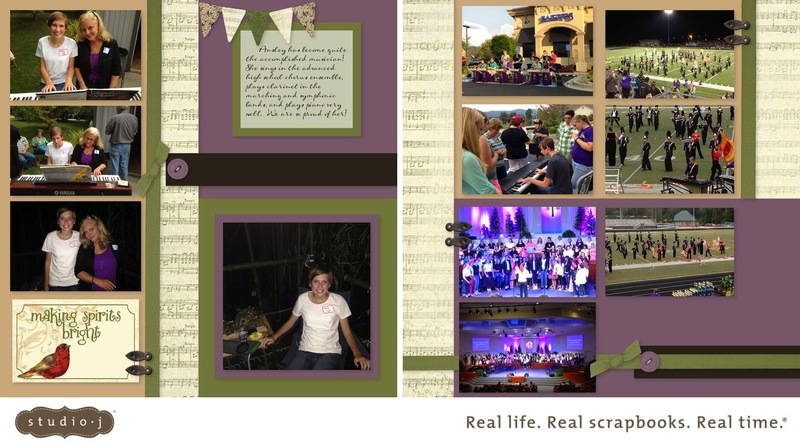 Because both girls participate in band and chorus (and Ansley takes piano lessons too), I grabbed pictures of them making music this past year and created a Studio J layout for each of them. I love the musical B&T in the Yuletide Carol Christmas collection, so I used it and changed the red to Smoky Plum to tie into our school colors. 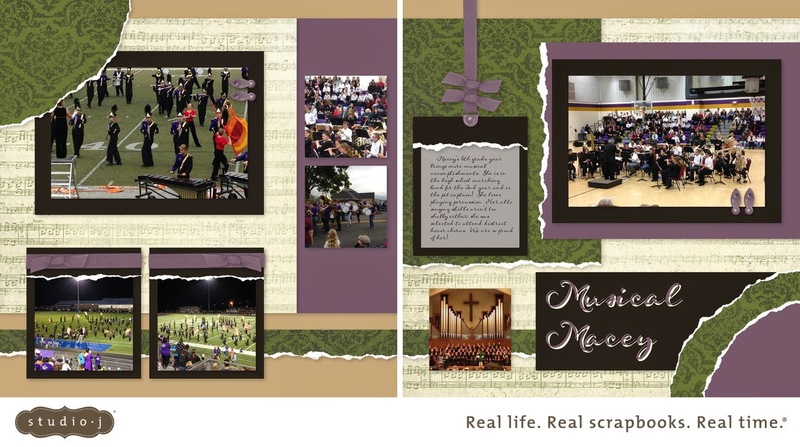 I love how this combo looks and how both layouts turned out. Thanks for letting me share my girls with you! We are so proud of them! 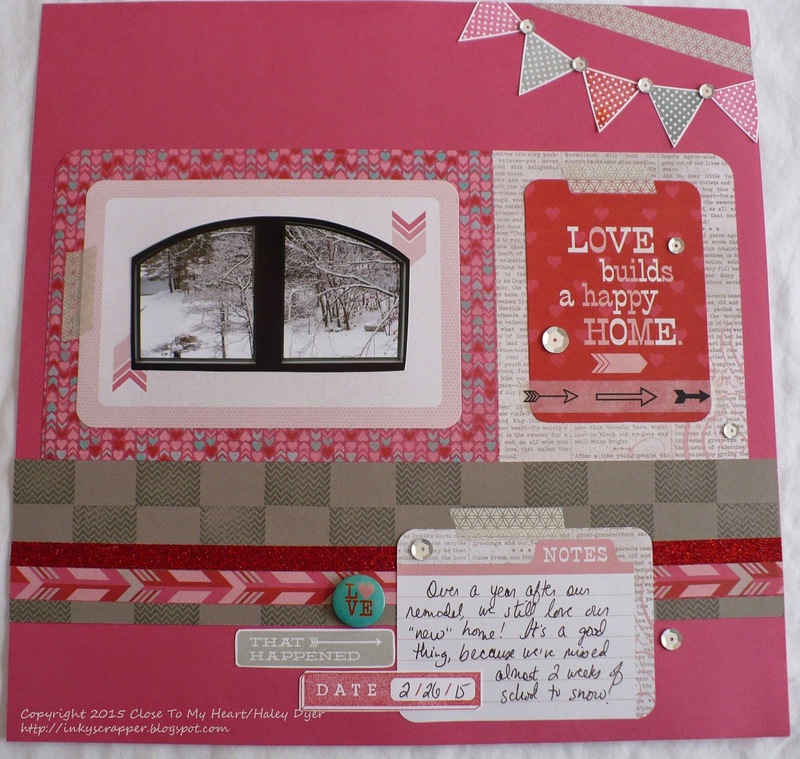 This week's Heart 2 Heart Challenge theme is how cute! 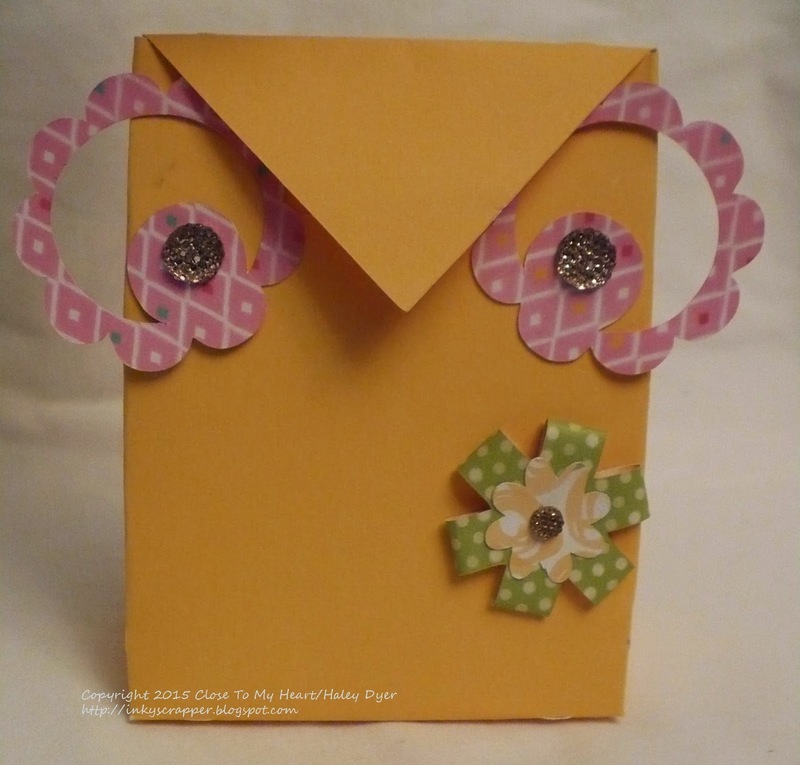 I made this adorable owl gift bag using the CTMH/Cricut Artiste cartridge. It was so easy! 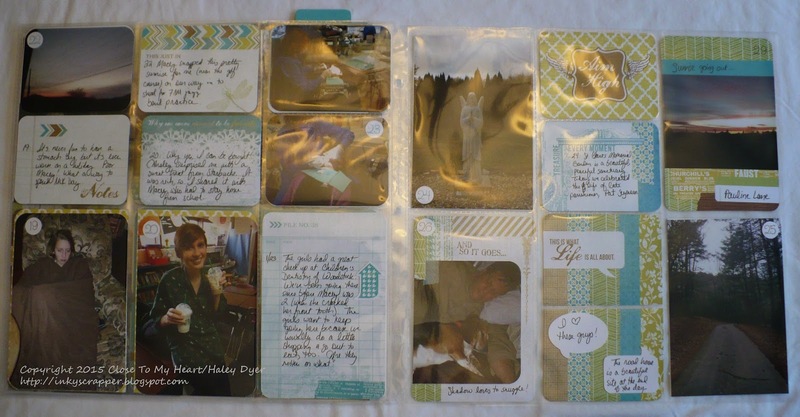 I used a piece of Canary card stock to cut out the bag itself. I used two different pieces of Brushed B&T- one for the eyes and the other for the flower medallion. I used some gold glitter gems to accent the eyes and the owl's "pin." It truly couldn't be easier! 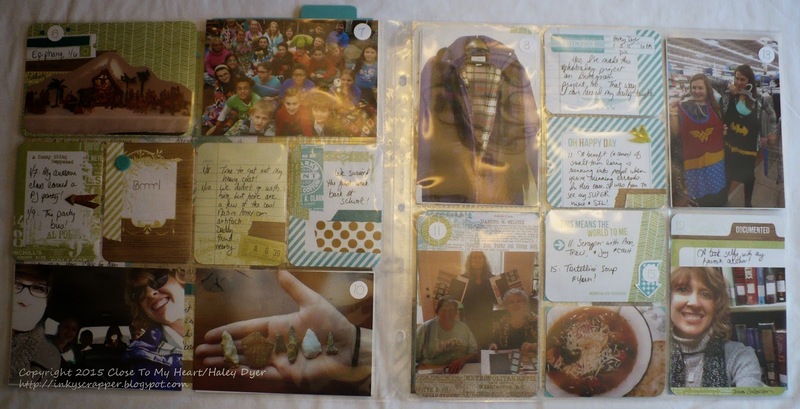 Be sure to go check out all of the H2H Team Thistle's adorable creations and then be sure to link up your own. 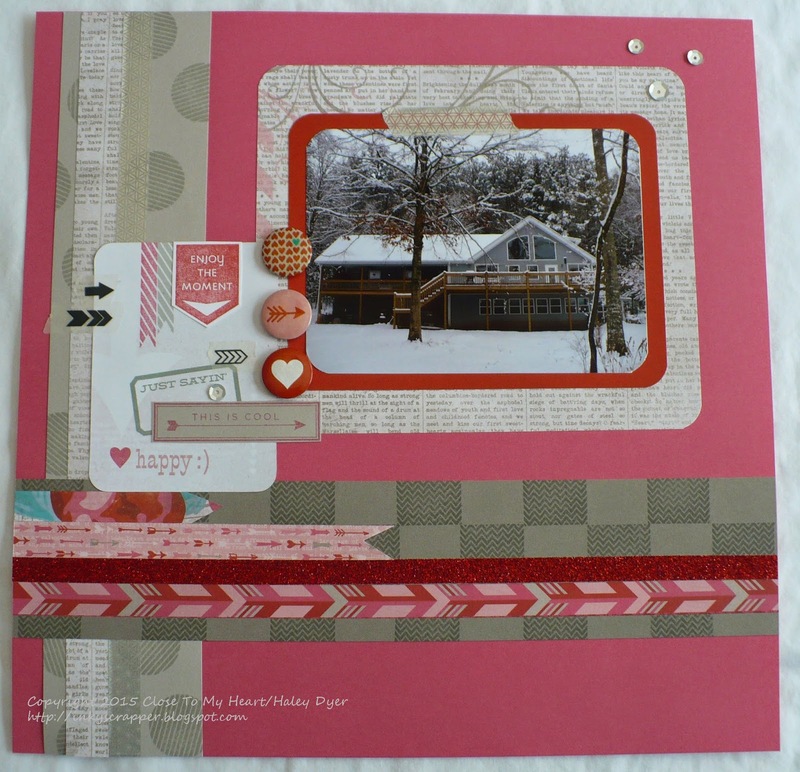 In my effort to use up the last of my Heartstrings paper pack scraps (only available through the end of March), I made this card (with my Amour stamp set). 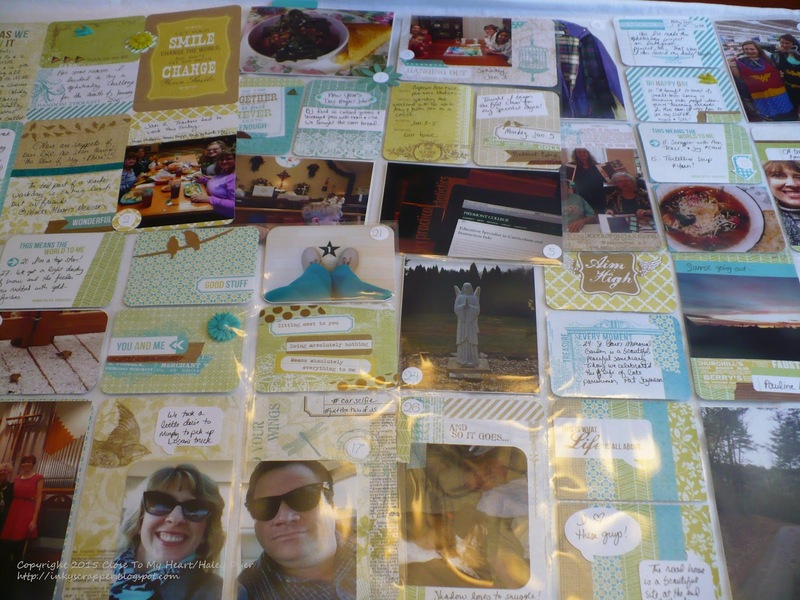 The book print pattern is my absolute fave from this pack. 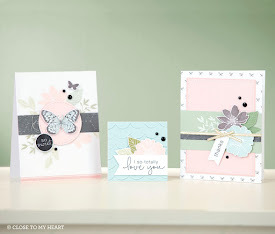 I paired it with scraps I had left of the other side (hearts), teal shimmer trim, a tiny scrap of another Heartstrings B&T scrap, plus some Whisper and Lagoon card stock on a White Daisy card base. 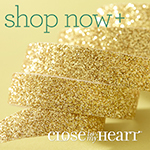 Isn't the Heartstrings assortment badge a lovely finishing touch? Thanks for letting me share l'amour francais with you! 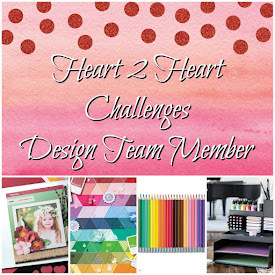 Since green is one of my favorite colors, this Heart 2 Heart Challenge isn't really challenging at all! 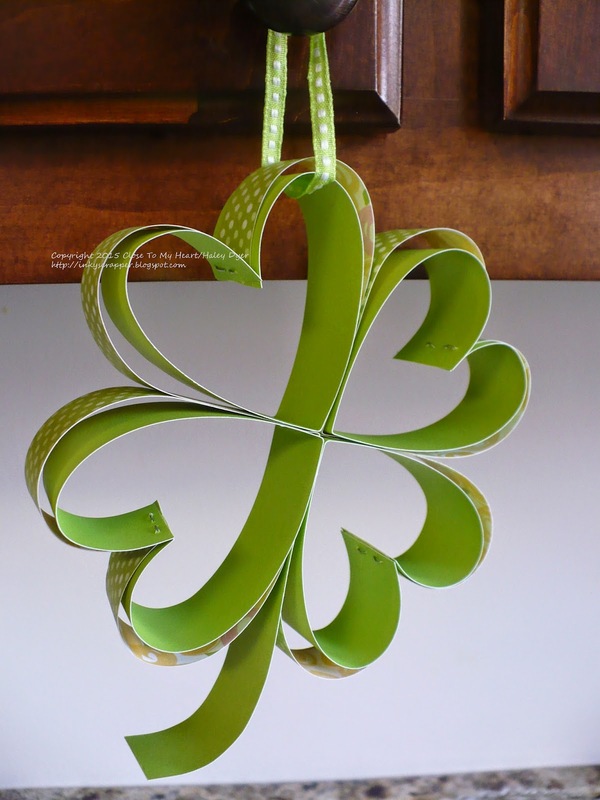 I decided to get in the festive spirit and make a little paper four-leaf clover using Pear card stock and B&T from the Brushed paper pack. This idea came from Pinterest, of course! Here are a few photos of the various steps. 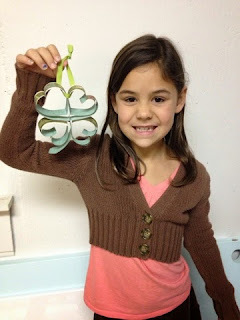 I'll leave you with my cute niece and the clover she made. Cute, right? 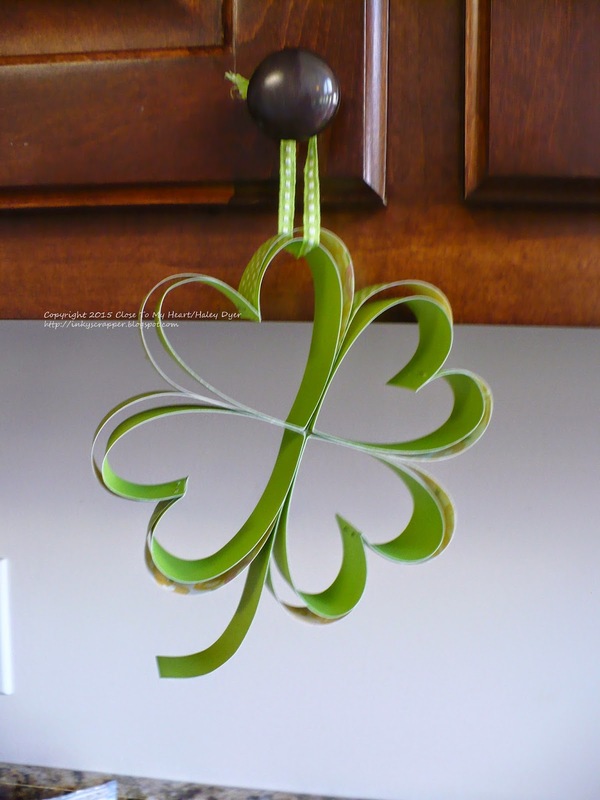 Be sure to check out the H2H blog if you can stand to be Green with Envy! 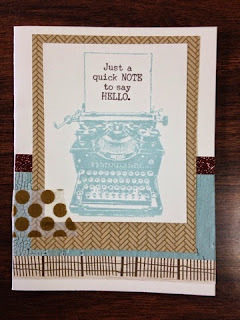 This card was selected as one of the Top 3 for the Try Stamping on Tuesday challenge #207! Thank you very much! That one was my favorite of the two, also. 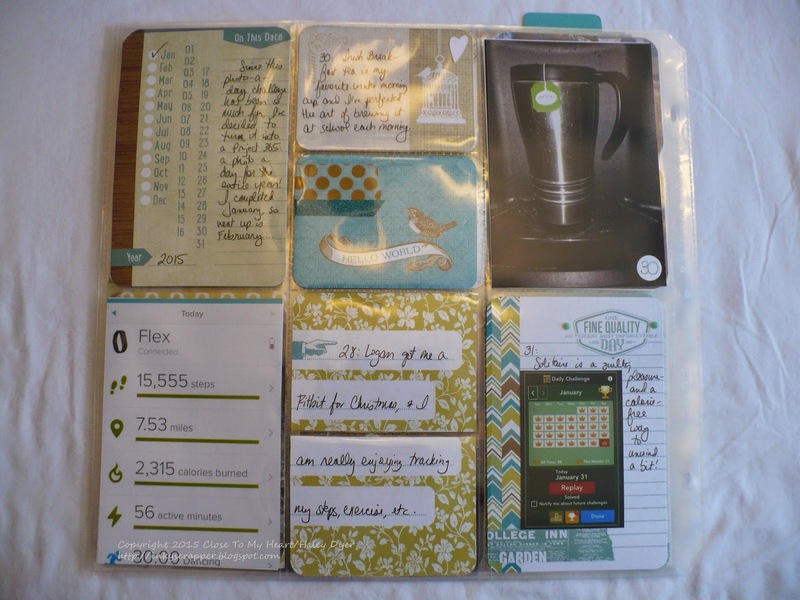 In theory, the Picture My Life pocket scrapbooking line has sounded like a great idea to me, but I have had trouble implementing it until now. 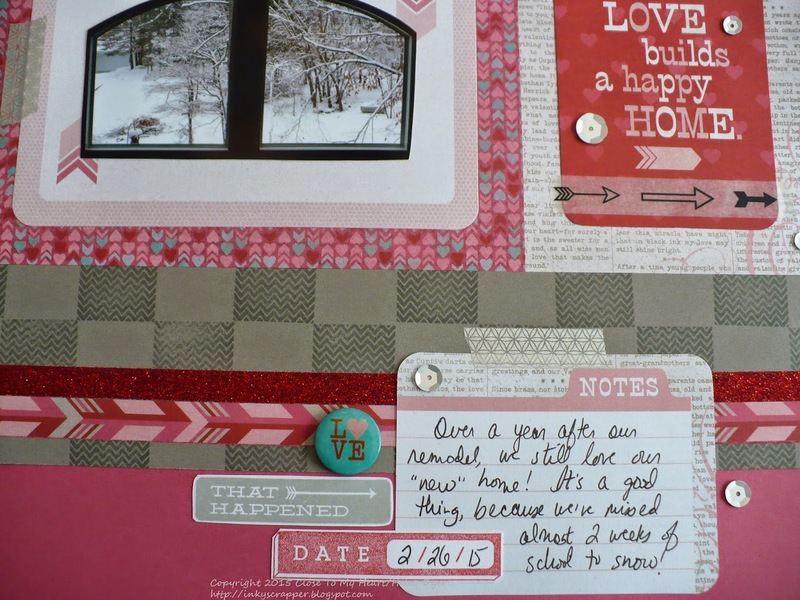 During our snow days last month, I took all of my January photos and actually got them scrapbooked! I am super stoked about this feat! (First, I have been participating in a photo-a-day challenge just because I have wanted to record more of of the every day in my life. Thanks to the Snapfish app, I have 100 free prints per month, so I printed all of my January photos. A couple of days I needed more than one photo to tell our story, but most days have just one highlight photo.) 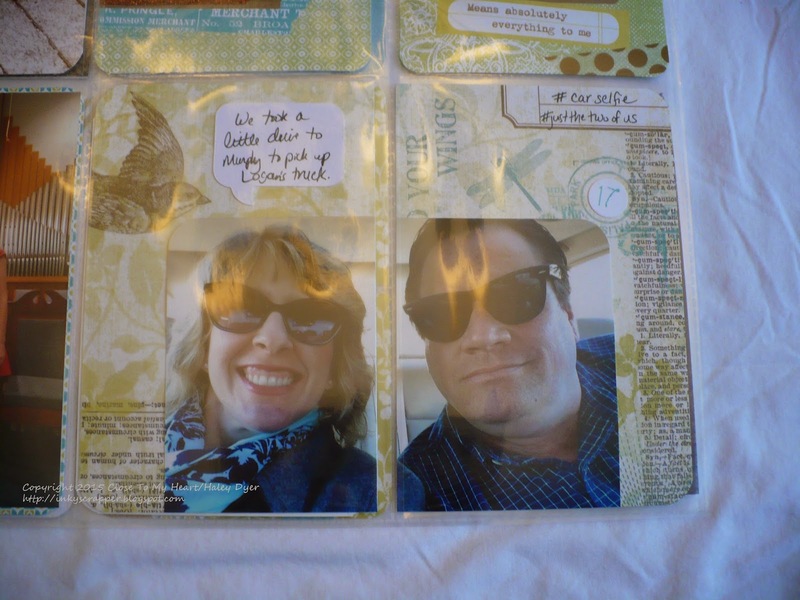 I used the Skylark Picture My Life collection to get me going. 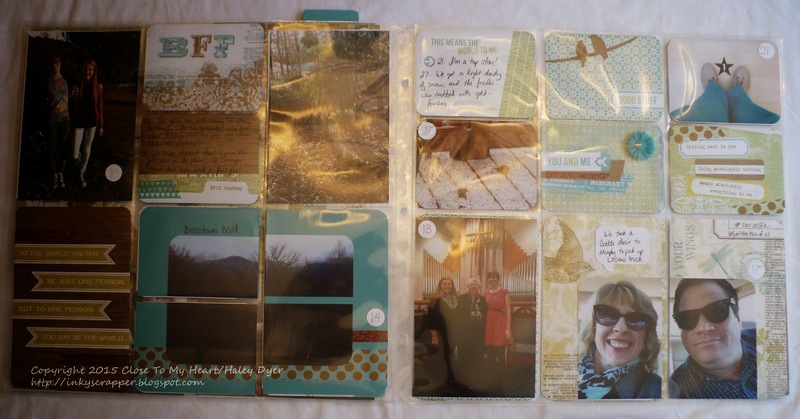 If you have photos that don't fit the orientation of your pockets, cut them up and back them with cardstock, B&T, or PML cards. Thank you, Instagram, for helping me remember what I was doing each day! Ring ring! 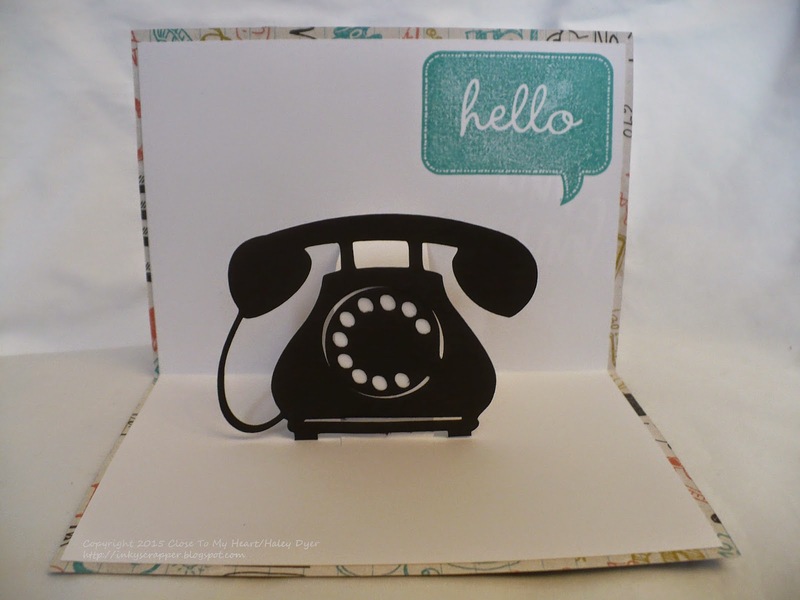 Here's a fun card to say hello! 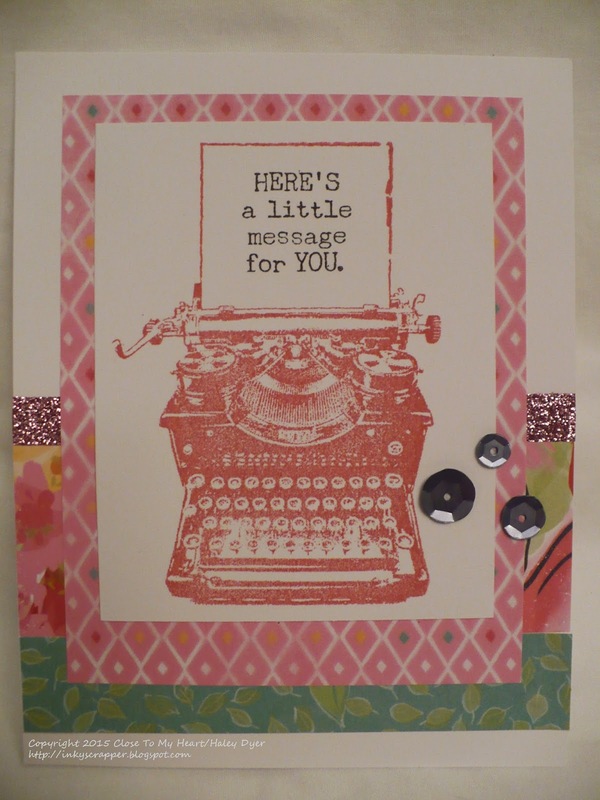 This card idea was totally "stolen" from the talented Aaron Brown and uses the CTMH/Cricut Artfully Sent cartridge. 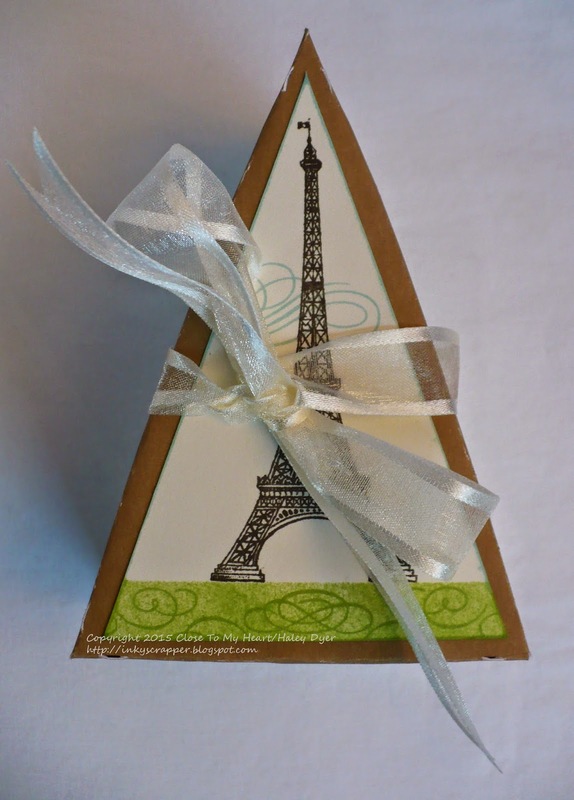 I began with the Chalk It Up paper pack, and I taught my card class participants how to make a pop-up card without a Cricut cartridge. 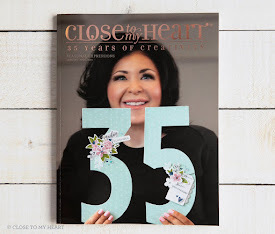 Often my go-to crafty resource is a sketch, so I was super excited that Heart 2 Heart Challenges is asking us to use our favorite Close To My Heart sketch this week! 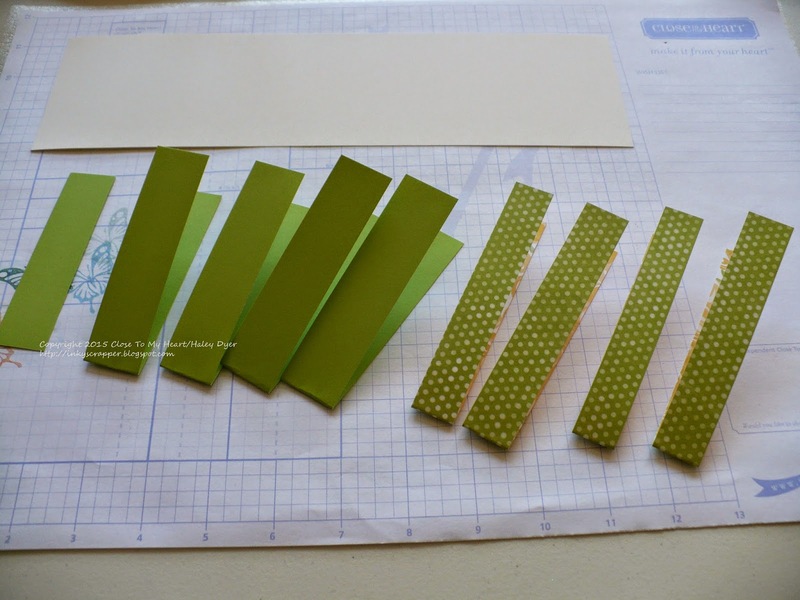 We have so many great how-to guides for scrappers and/or card makers, so you're bound to find tons of inspiration too. If you don't have one of our how-to guides, first, what are you waiting for (?!?) and second, you can find some of them HERE. It is truly hard for me to say that I have one favorite sketch, but there are several that I do love more than others. 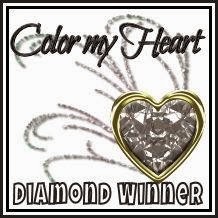 For my card, I used sketch #28 from Make It From Your Heart, Vol. 2. 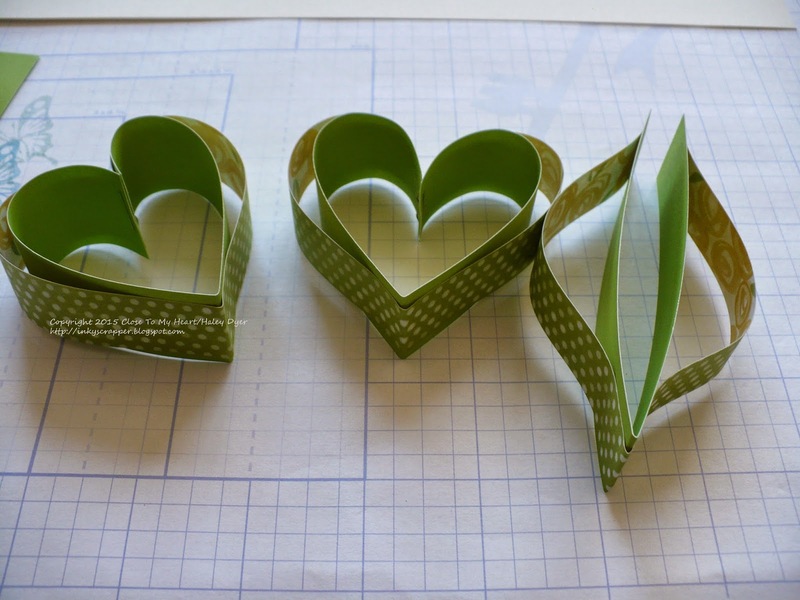 I used up my few last scraps of the Heartstrings paper pack (only available until the end of the month! 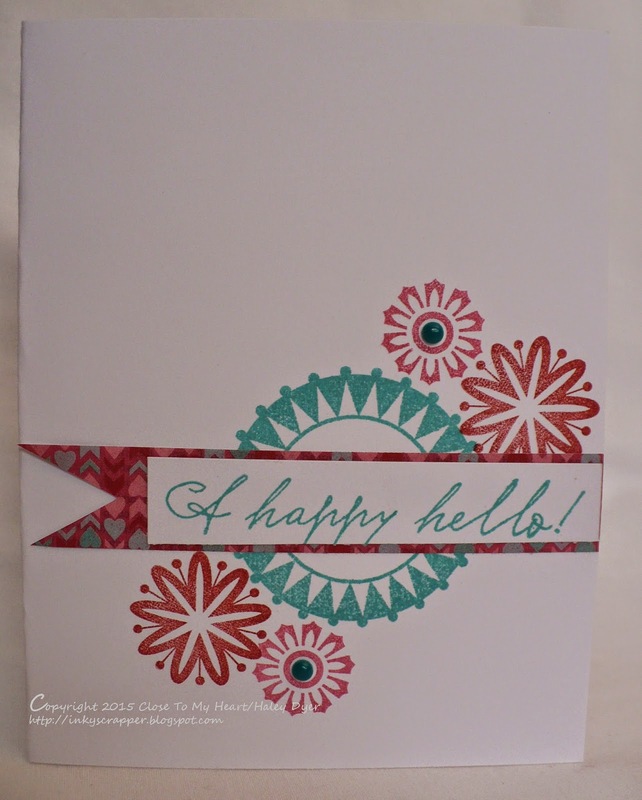 ), my Amour and A Quick Hello stamp sets, plus Slate, Whisper, Lagoon, Cranberry, and Hollyhock inks. 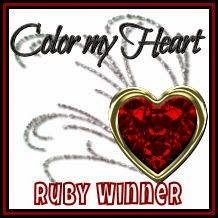 My embellishments included red shimmer trim and the Heartstrings Assortment badges. Now, be sure to choose a sketch you love and get crafting. 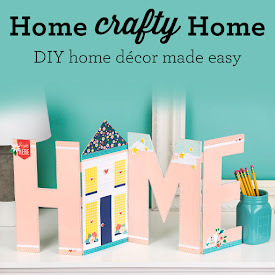 We can't wait to see what you make, so link up at H2H after you check out our fabulous DT's projects. 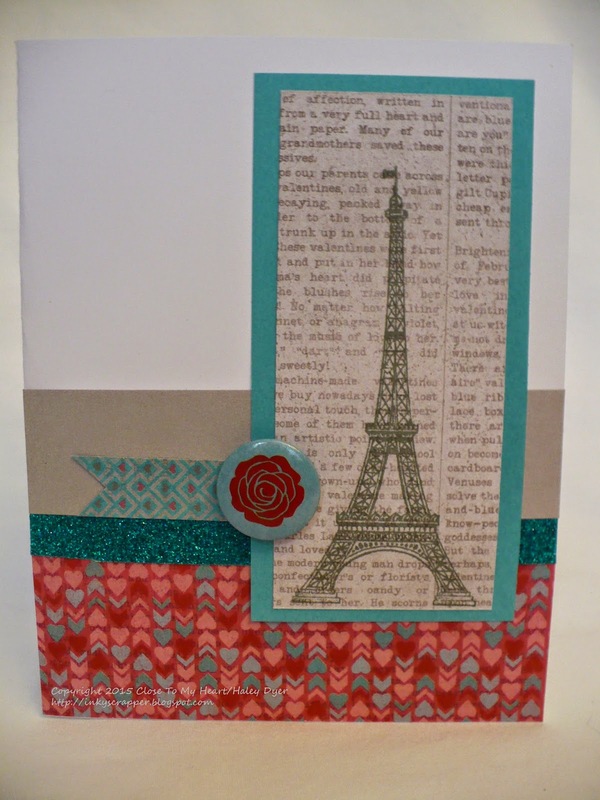 Of course I fell in love with the Amour stamp set and its lovely Eiffel Tower! 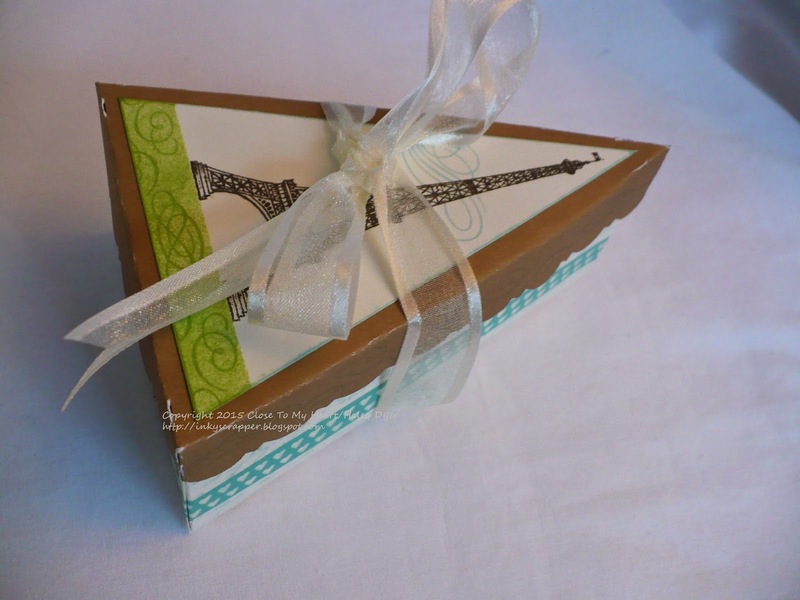 After browsing Pinterest, I came up with the idea of a pie/cake box Eiffel Tower gift box. What do you think? 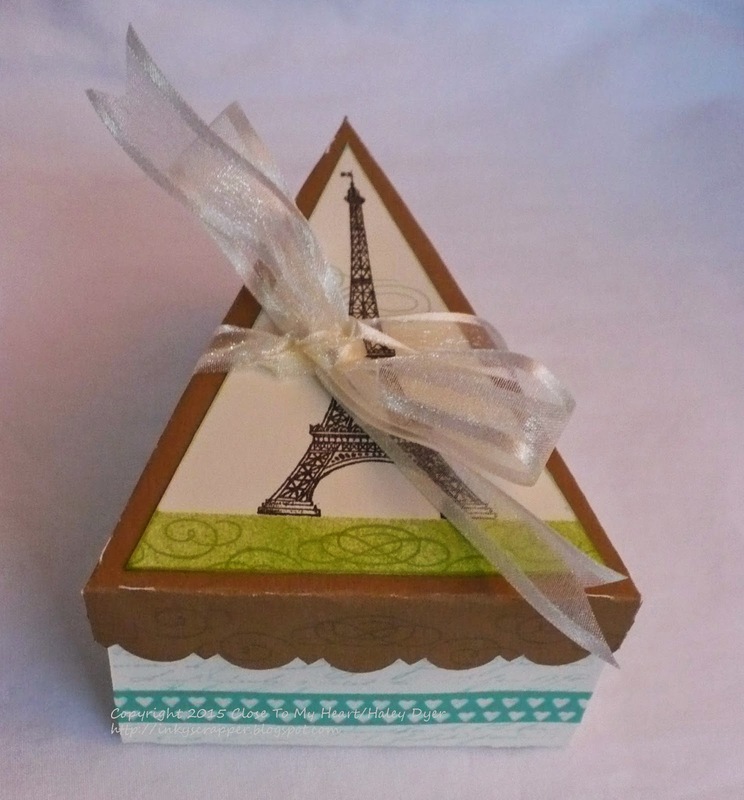 It was easy to cut this box and lid with the CTMH/Cricut Artiste cartridge. The base is Colonial White card stock, and the lid is cut from Desert Sand. 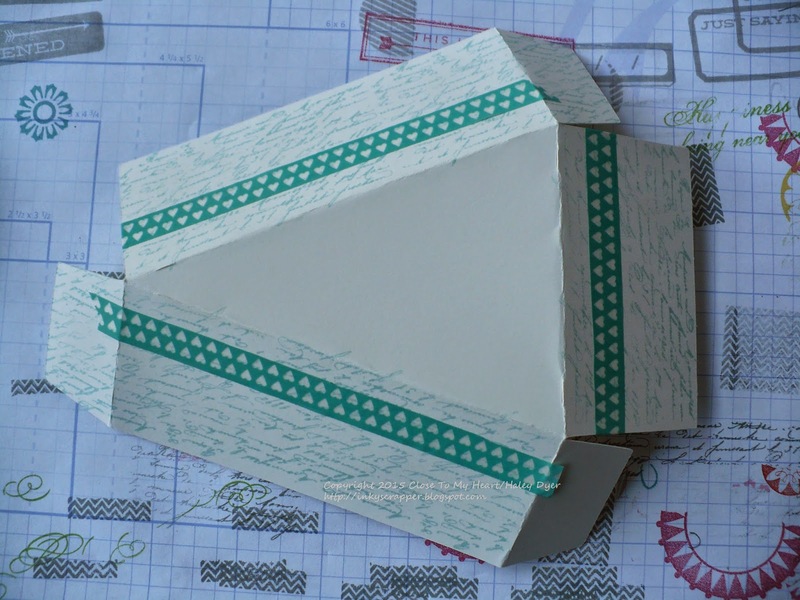 To tie the box closed, I used a piece of retired Colonial White ribbon from my stash. Here's the lid with out the tie. 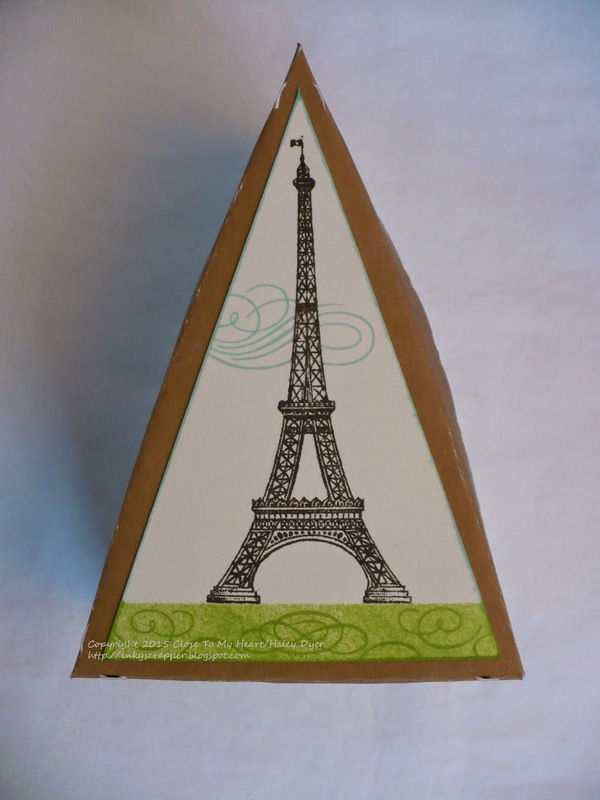 To create the grass, I masked off the area of the Eiffel Tower base, then sponged on Pear ink. 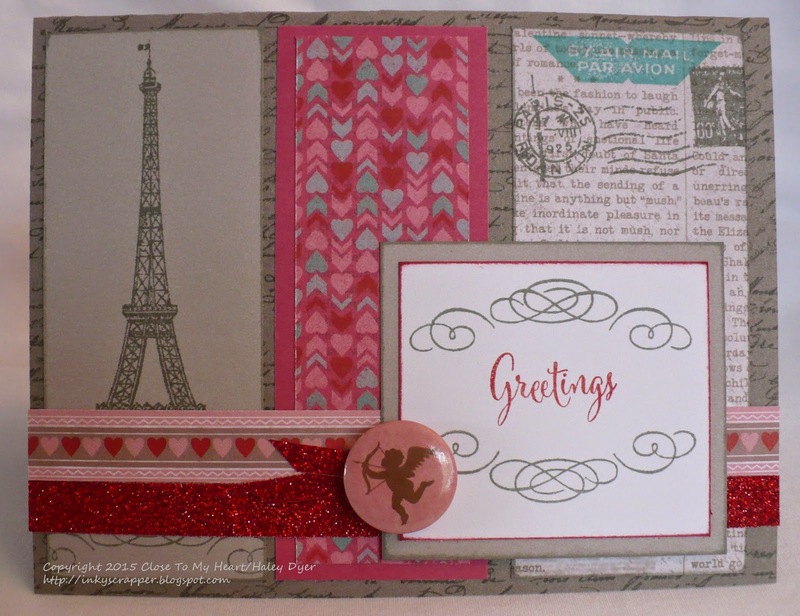 I used the arched swirls from the Amour stamp set to stamp the pretty swirls in the "grass." (It really adds an elegant touch.) I used another flourish to mimic clouds. 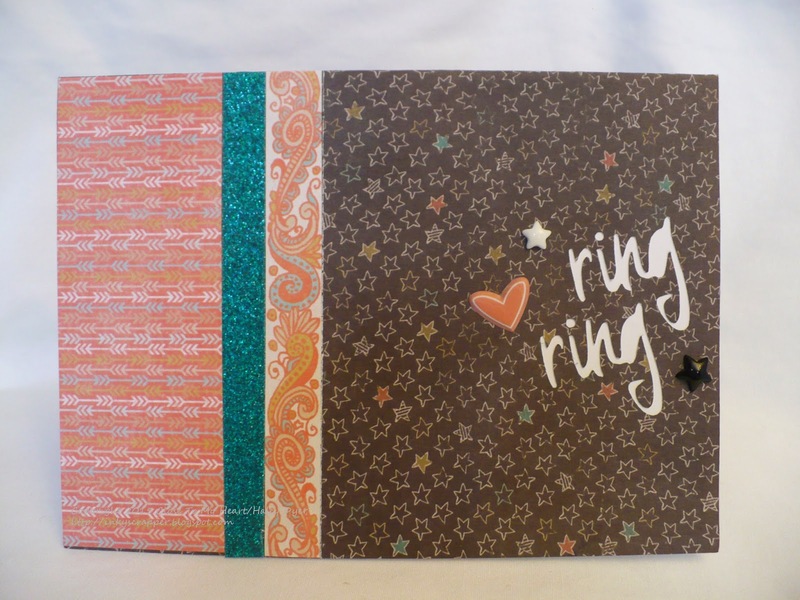 Below, you'll see how I jazzed up the box base: I stamped the text stamp with Lagoon ink, then trimmed down the Lagoon heart washi tape to a thinner thickness to use on the bottom. Here's a final peek at the completed box. I'll need to add some bonbons before I give this as a gift! 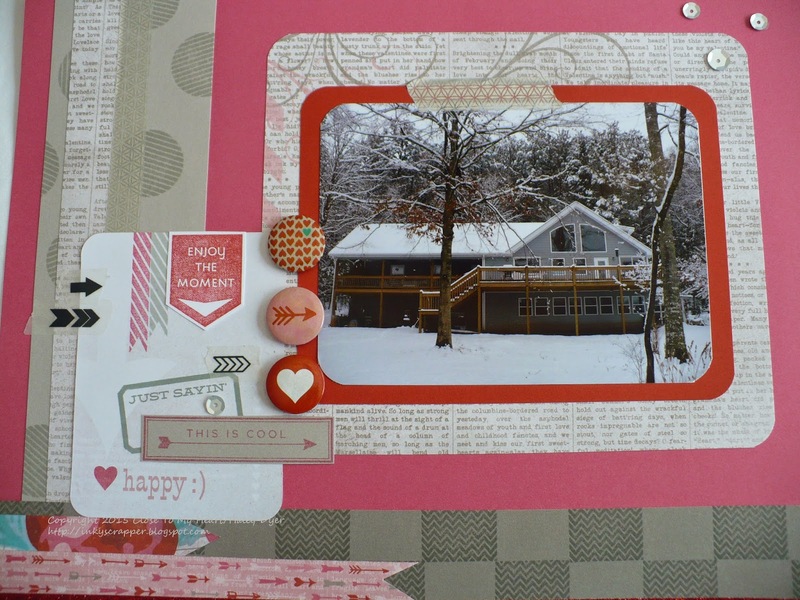 While we were snowed in, I took these pictures of our home and was able to scrapbook them with assistance from the Heartstrings paper pack and Heartstrings Picture My Life card set. I really love how it turned out! 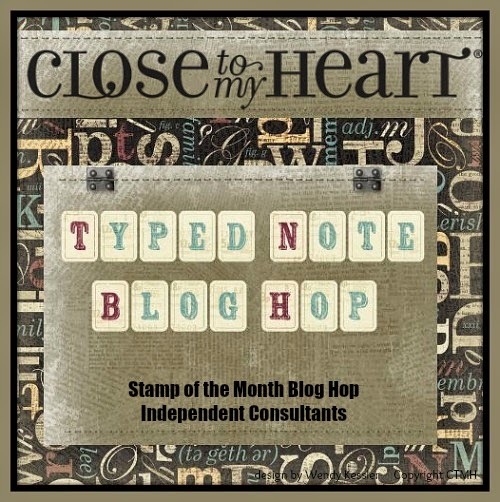 I also used the May stamp of the month (sneak peek! ), Just Sayin'. 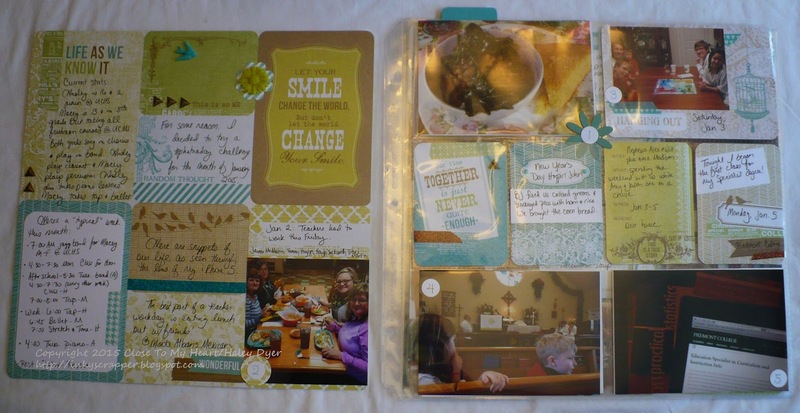 I hope you enjoy the LO as much as I enjoyed making it and preserving memories of home sweet home. 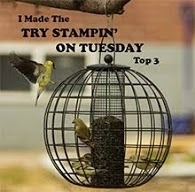 For the Whisper sidebar, I random stamped the Just Sayin' circle. 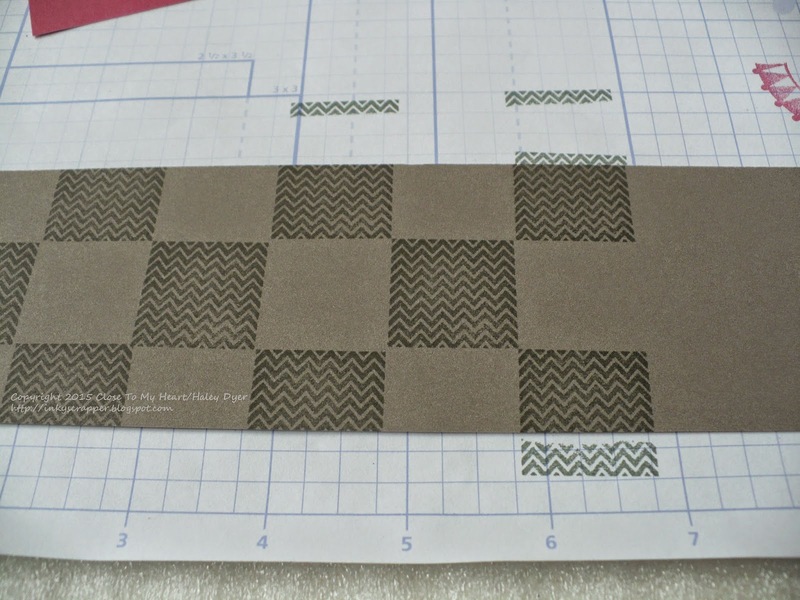 For the Slate bottom border, I created a checkerboard pattern with the square chevron stamp. 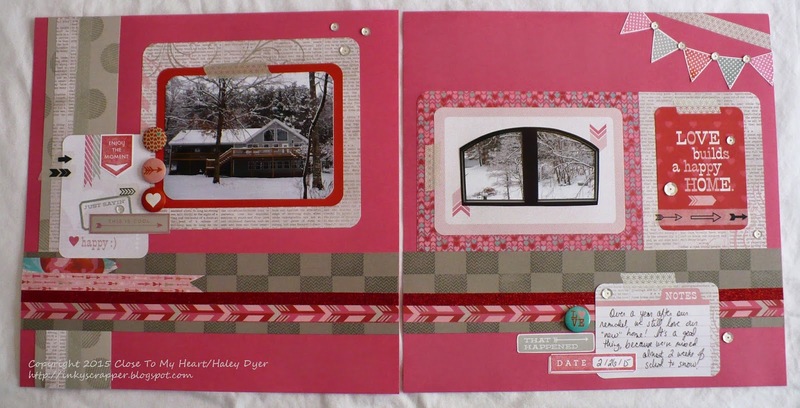 The left accent rectangle is a Picture My Life card that I embellished with stamped images from the May stamp of the month, the Heartstrings Assortment badges, and arrow washi tape (plus silver geometric washi tape and red shimmer trim). 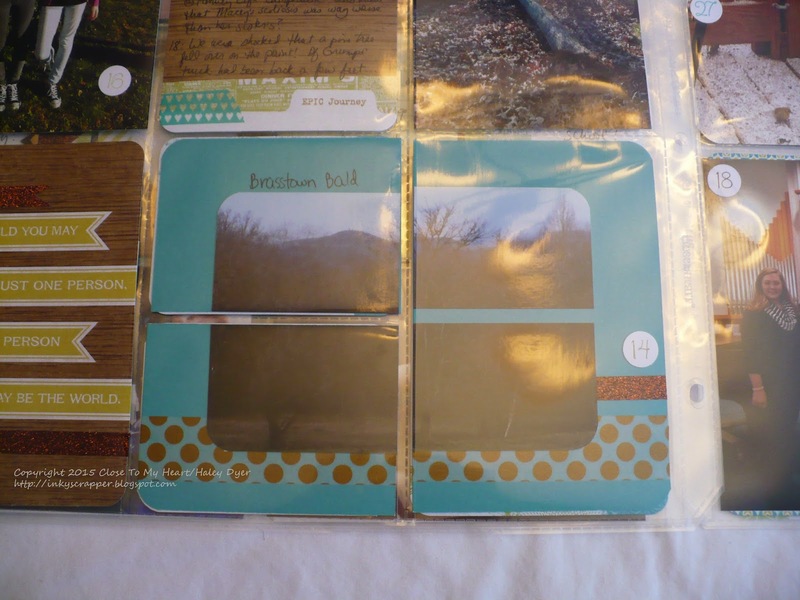 All three of the rectangles on the left page are Picture My Life Heartstrings cards. I made the pennant banner with the triangles from the May stamp of the month, Just Sayin'. Of course I used my favorite silver sequins on the layout too. Thanks for letting me share my home sweet home with you!